Washington Mechanical offers these resources because we believe they may have value and relevance for consumers, manufacturers and others who share our interest in the HVAC industry. For Seattle homes that use less than 41 gallons of hot water daily, on demand water heaters can be 24%–34% more energy efficient than conventional storage tank water heaters. They can be 8%–14% more energy efficient for homes that use a lot of hot water — around 86 gallons per day. You can achieve even greater energy savings of 27%–50% if you install a demand water heater at each hot water outlet. ENERGY STAR® estimates that a typical family can save $100 or more per year with an ENERGY STAR qualified tankless water heater. The cost of operating a pilot light in a tankless water heater varies from model to model. Ask one of our Seattle Water heater experts how much gas the pilot light uses for the model you’re considering. If you purchase a model that uses a standing pilot light, you can always turn it off when it’s not in use to save energy. Also consider models that have an intermittent ignition device (IID) instead of a standing pilot light. This device resembles the spark ignition device on some gas kitchen ranges and ovens. If your considering a tankless water heater for your Seattle area home, Washington Mechanical should be your first call for a free estimate. Regardless of what type or size of hot water system you have in your home, we can fix problem and get the hot water flowing again in no time. 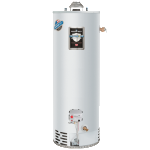 When selecting a new water heater for your Seattle home, choose a water heating system that will not only provide enough hot water but also that will do so energy efficiently, saving you money. This includes considering the different types of water heaters available and determining the right size and fuel source for your home. For climates with moderate heating and cooling needs, such as Seattle, heat pumps offer an energy-efficient alternative to furnaces and air conditioners. Like your refrigerator, heat pumps use electricity to move heat from a cool space to a warm space, making the cool space cooler and the warm space warmer. 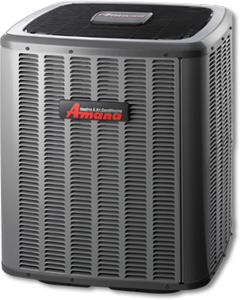 During the heating season, heat pumps move heat from the cool outdoors into your warm house and during the cooling season, heat pumps move heat from your cool house into the warm outdoors. Because they move heat rather than generate heat, heat pumps can provide equivalent space conditioning at as little as one quarter of the cost of operating conventional heating or cooling appliances. 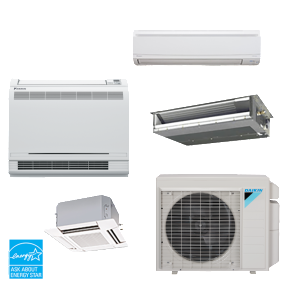 The most common type of heat pump is the air-source heat pump, which transfers heat between your house and the outside air. If you heat with electricity, a heat pump can trim the amount of electricity you use for heating by as much as 30% to 40%. High-efficiency heat pumps also dehumidify better than standard central air conditioners, resulting in less energy usage and more cooling comfort in summer months. Air-source heat pumps have been used for many years in nearly all parts of the United States, but until recently they have not been used in areas that experienced extended periods of subfreezing temperatures. However, in recent years, air-source heat pump technology has advanced so that it now offers a legitimate space heating alternative in colder regions. Furnace not working? No Hot Water? Call us anytime, 24 hours a day, 7 days a week for heating repair service from a company you can trust .